Today’s home buyers are in a much different position than years past. With the use of smartphones, buyers are now able to access detailed property information from wherever they are, quickly. When potential clients use smartphones and apps where they can gather information like location, prices, and neighborhood surroundings, it frees up agents time which was previously used answering calls and having to run all over town. All of this means that a real estate agents job shifts to providing more resources about various communities, and becoming a local market expert. Demands have only become more pronounced when ever-present technology lets everyone do their own research. Adapting to this new world means changes to the buyer-agent relationship, and a successful agent will evolve along with client expectations and their use of technology. With the ability to read up on anything on the internet, home buyers are now able to educate themselves when it comes to home financing. But really understanding their best options is still done best by working closely with agents. Now, real estate agents must be even more detailed in the information they provide clients, as the internet can often cause more confusion. 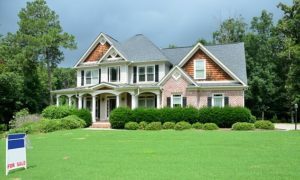 A massive purchase such as buying a home is scary, and home buyers will look to their agent for vast financial understanding. Technology doesn’t change this area much for the positive, as many internet know, what you read online isn’t always the source for correct information. Agents have to be on top of their game with knowledge. New technologies, such as mobile applications, video and VR tours will streamline the process of selling and buying homes. While technology will continue to provide more access to information, real estate agents will have to be more responsive with clients. Create a customized application so that your clients get a richer user experience and an easier way to access your products from anywhere. Most real estate agents spend very little time in their office at their desk. 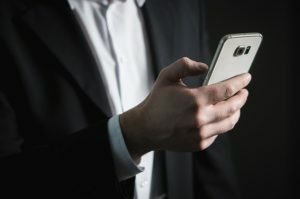 Given the on-the-go nature of their jobs, realtors need mobile apps that automate the repetitive aspects of their job so they can focus on building relationships and completing transactions. Real estate mobile apps can help agents more effectively manage their workflow and communicate with existing clients. Pulling and posting listings, struggling to contact potential clients is all time that could have been spent with sellers and buyers closing homes.